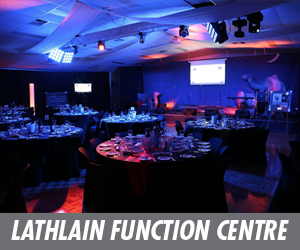 THE TABtouch WAFL Team of the Year has been selected for 2018 and 20 of the 26 players named will all be taking part in this Sunday's semi finals featuring Subiaco, South Fremantle, West Perth and Claremont. 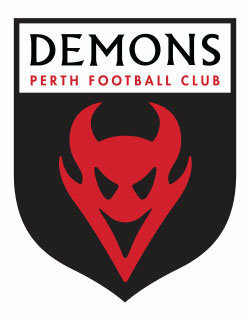 Over the course of the 2018 WAFL season, the www.wafl.com.au team selected a Team of the Round after each weekend of football. 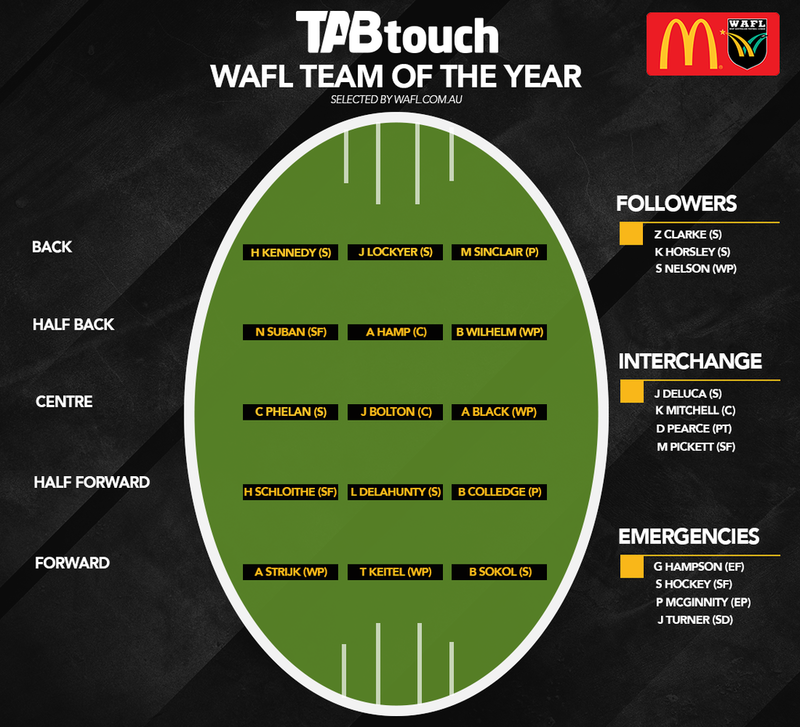 Based on those 21 teams selected, the TABtouch WAFL Team of the Year has been named featuring 22 players and four emergencies that have earned their place in the side based on the number of times they were named throughout the season. The might mean some star players who missed large parts of the season or weren’t quite as consistent miss out like Swan Districts' Rhys Palmer, South Fremantle's Cory Dell'Olio and Mason Shaw, Claremont's Jared Hardisty, Haydn Busher and Alex Manuel, Subiaco's Brad Stevenson, and East Perth's Luke Partington. Of the 10 players who were nominated five times throughout the season, West Perth's Tyler Keitel, Subiaco's Jordan Lockyer and East Perth's Patrick McGinnity made the final 25. East Perth had the most players nominated with 23 of them earning a spot at least once, while Subiaco had 22 players, Swan Districts 19, Peel Thunder 18, South Fremantle 18, Claremont 18, Perth 16, West Perth 15 and East Fremantle 12. 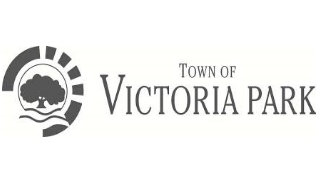 West Perth players claimed 65 of the positions, South Fremantle 62, Claremont 53, East Perth 47, Perth 41, Swan Districts 31, Peel Thunder 34 and East Fremantle 26. 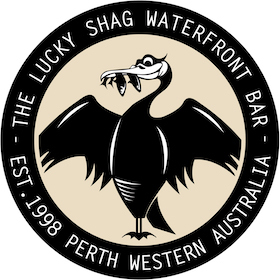 The back-line of the TABtouch WAFL Team of the Year features Subiaco's Lockyer and Claremont's Hamp as the key position players with Subiaco's Kennedy, Perth's Sinclair, South Fremantle's Suban and West Perth's Wilhelm around them. The midfield was the one most difficult to narrow down but Subiaco's Horsley, West Perth's Nelson and Claremont's Bolton picked themselves as did Subiaco's Phelan and West Perth's Black as the wingmen.